One of our largest ceiling-mounted rainfall shower systems! Beautiful chrome finish. 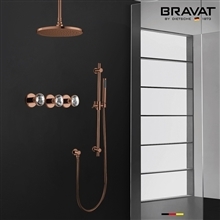 Three valve thermostatic mixer controls rainfall showerhead as well as handheld shower and six adjustable massage jets. The flow rate is 4 to 5.3 GPM. 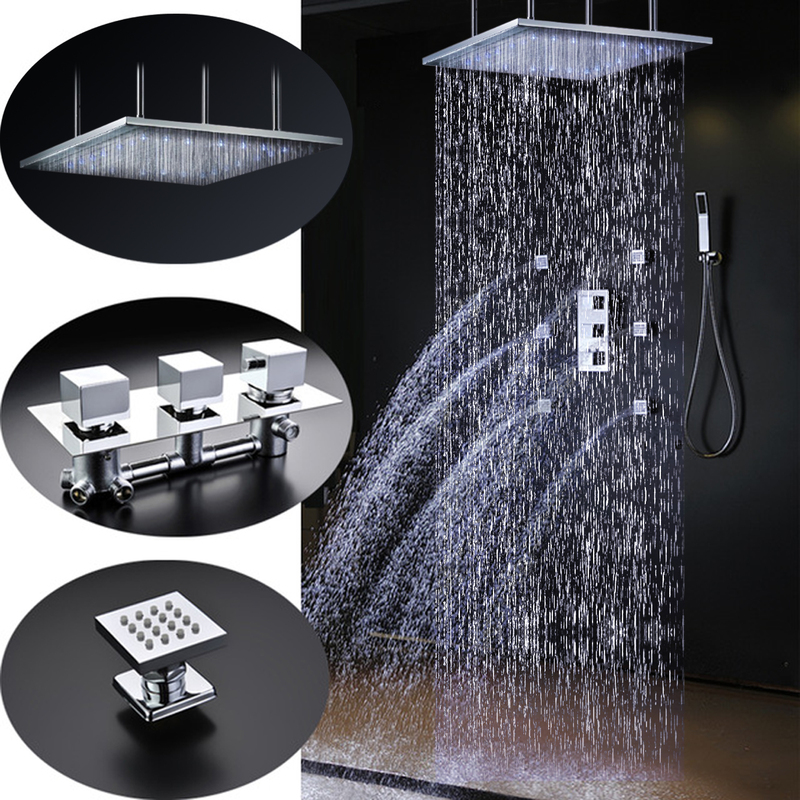 Showerhead Size: 40" x 40"
Body Jets: Solid brass 5" x 5"
The flow rate is 7.9 GPM. So I got this installed last week after completing my bathroom remodel. So far so good. I tried with both the restrictor on and off and it’s much better off. Amazing pressure and truly a luxurious shower feeling. Bathing with a shower system that has multiple water jets is so incredible. 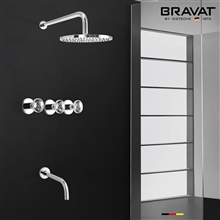 This shower system surpasses what i wanted and i am really glad i chose this particular shower system. I will gladly tell my friends about this Sicily 40" * 40" shower system. I was lucky enough to get the shower set of this Sicily chrome shower set that comes with LED lights. I totally love this shower set. It is everything i wanted. This 40" * 40" Large Chrome LED Rain Shower Head has surprised me with its performance. Body jets and a handheld shower system also come along with it and I must say that this item is pricey but definitely worth having. You could buy this one on sale too!